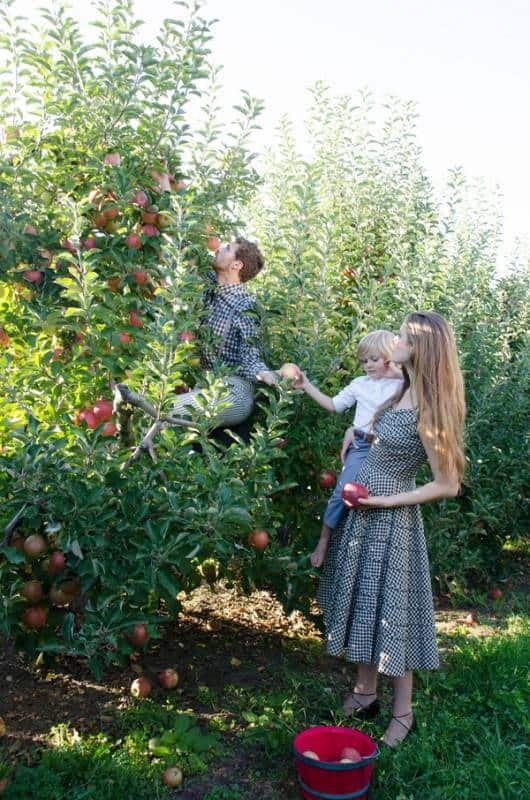 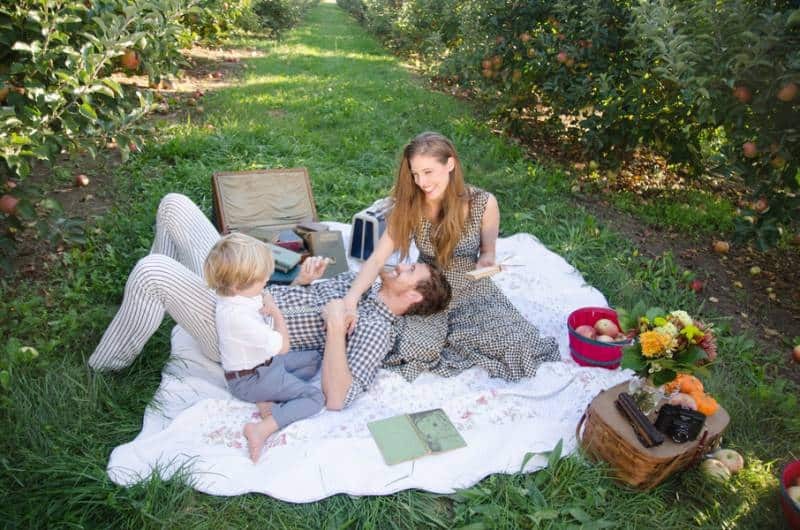 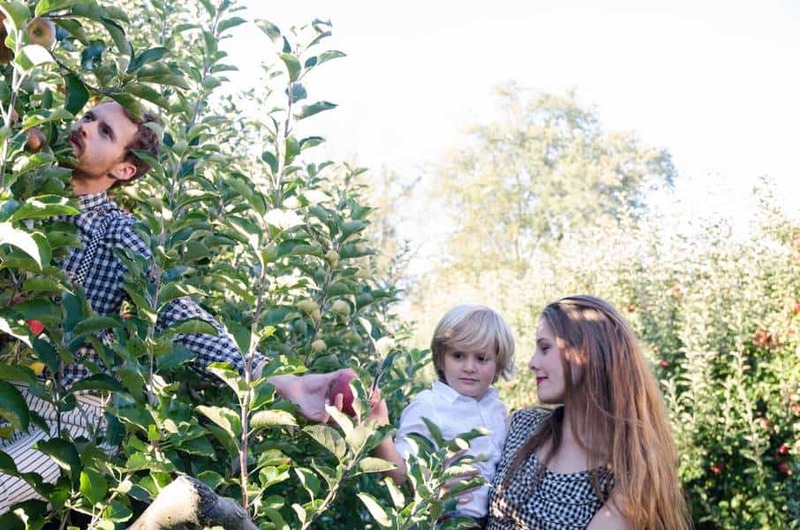 Apple picking and a picnic at the orchard are a great idea! 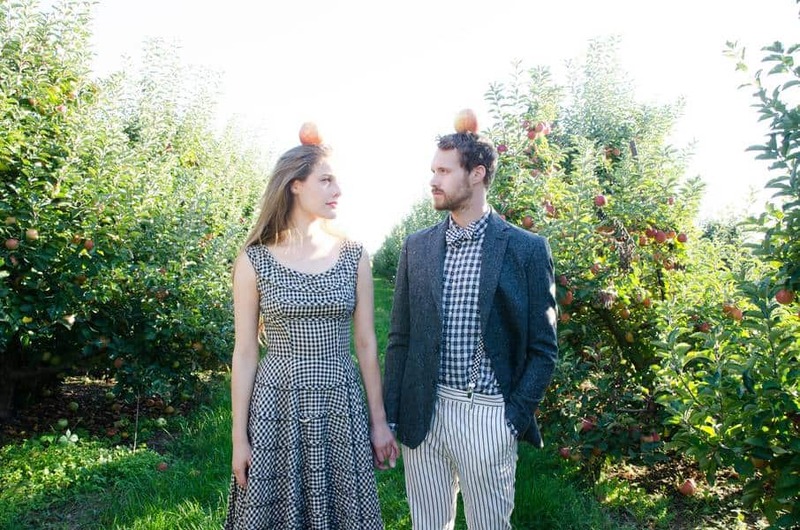 A mix of vintage styling from outfit to accessories, this styled shoot is another inspiration for all our readers. 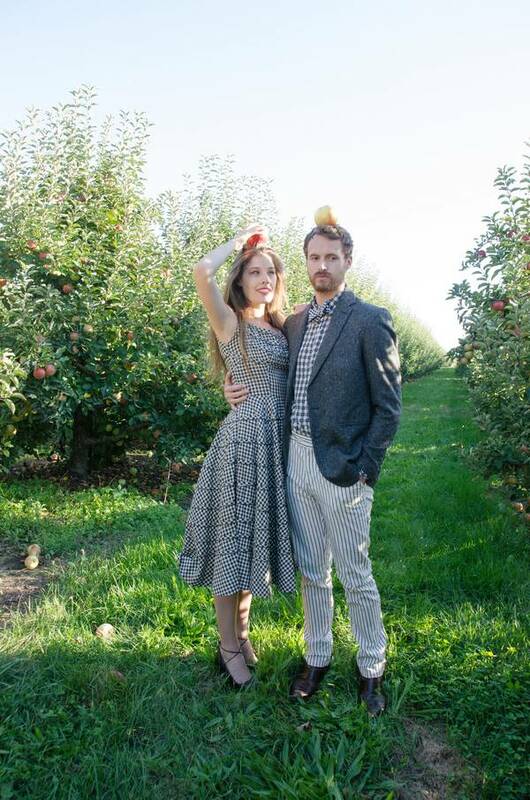 Though this shoot is styled, the couple was all cute and adorable as they smiled their way all throughout. 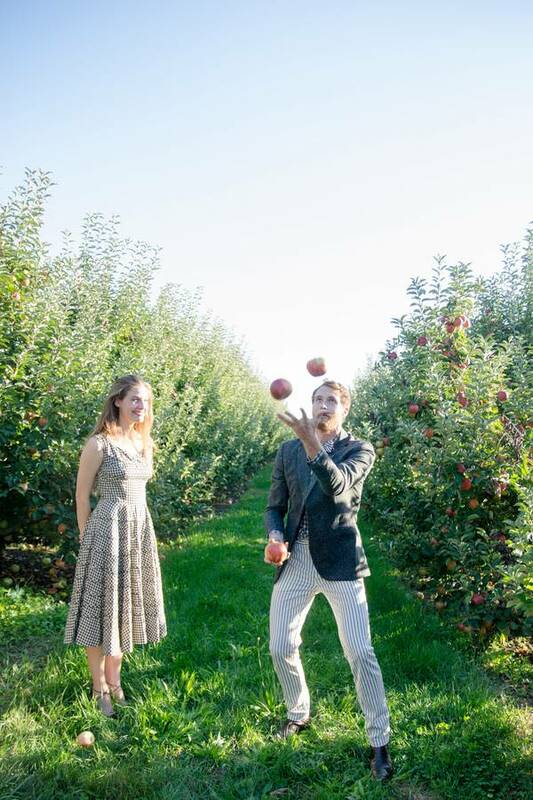 Another fun part was them just playing around, juggling apples. 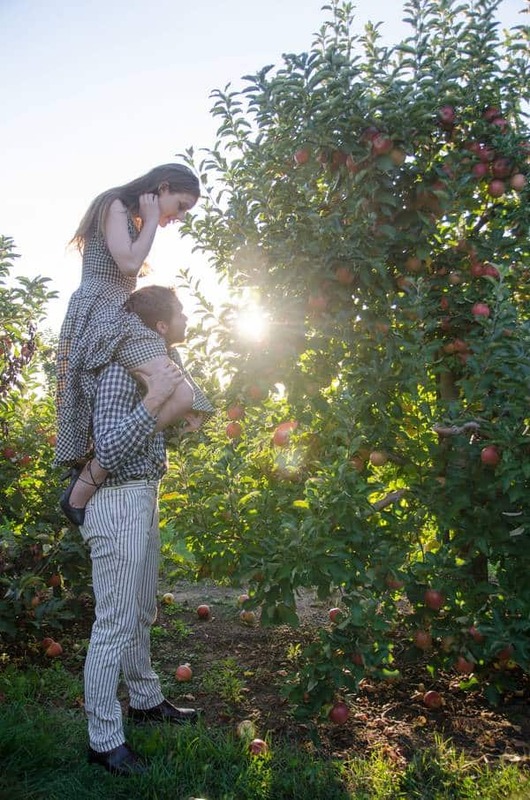 It certainly kept things looking natural and light. 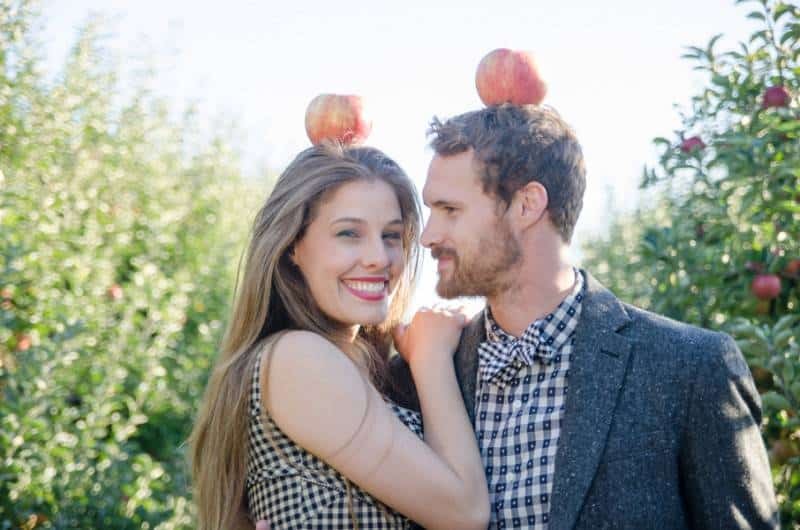 Check out the gallery — you might get some playful ideas for your own engagement shoot! 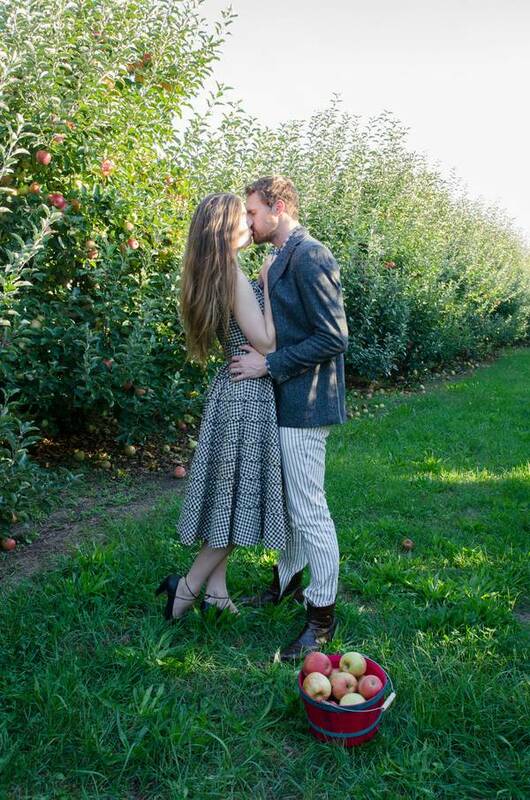 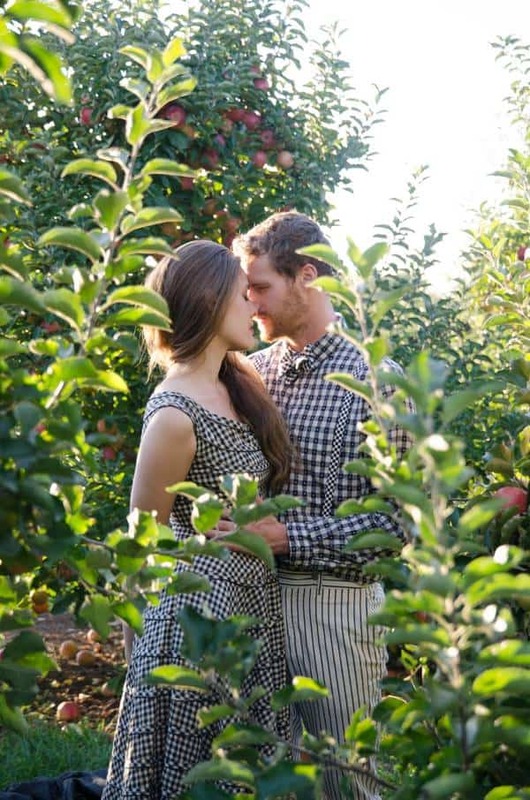 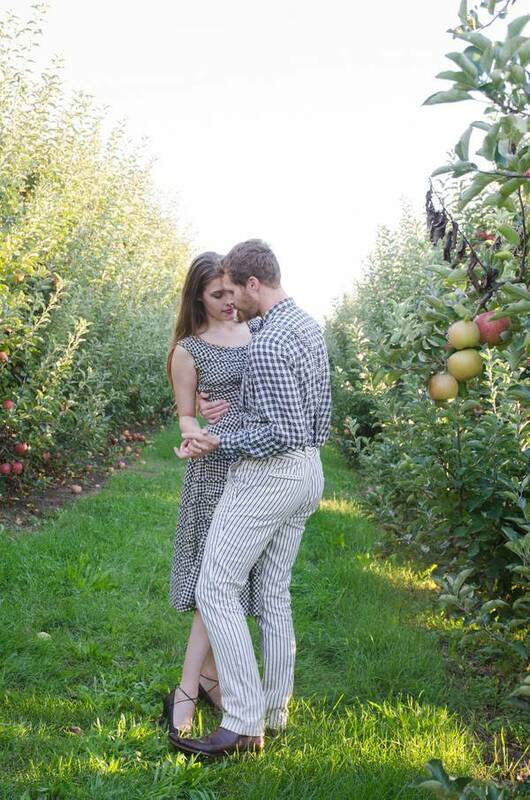 This stylized love session is sweeter than sweet at Garwood’s apple orchard in LaPorte, IN. 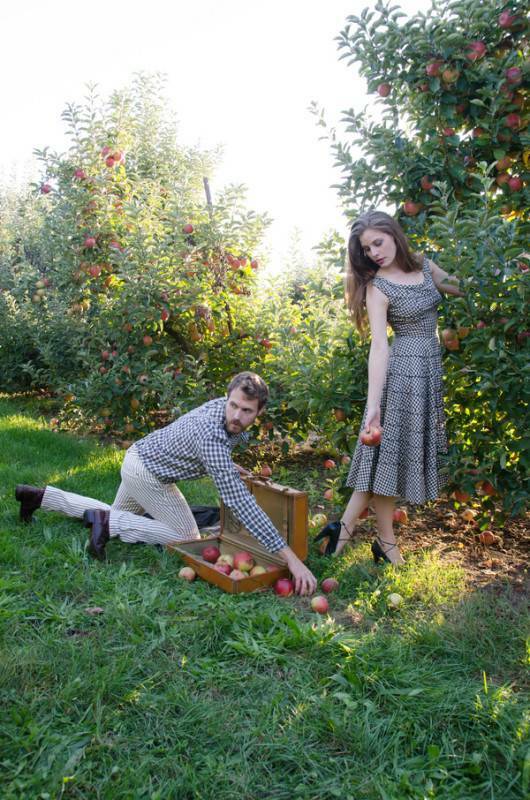 Everything – from their vintage coordinating outfits to the adorable old suitcase and books was perfect. 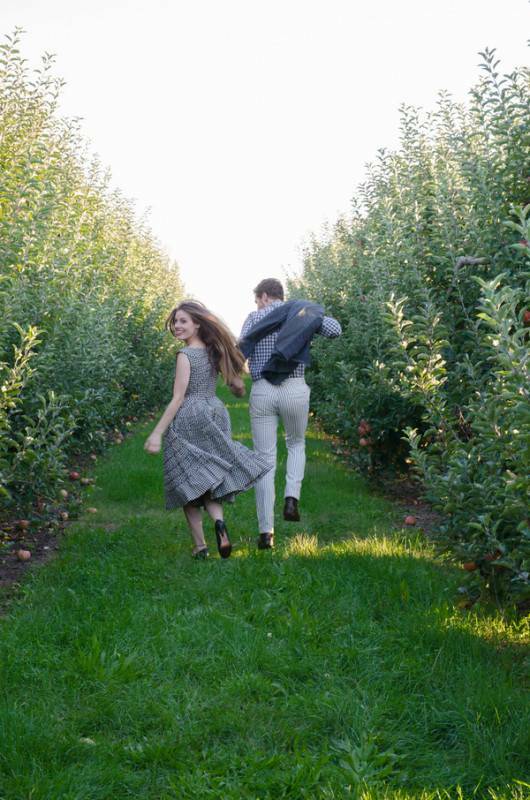 Jared & Leah are L.A. natives but ventured back to Northwest Indiana to visit family – and when we heard they were going to be in town we got busy planning a photo shoot with them. 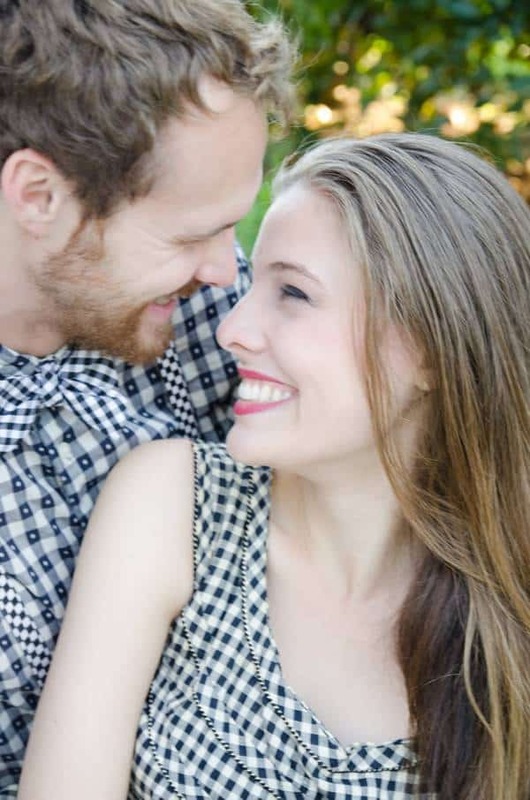 It’s not every day you get to photograph such beautiful people.